Pokemon have been around for quite a long time now. In fact we love Pokemon so much that Timlah is going to be at this months GeekOut meetup in a Pikachu onesie. In the mean time then, it’s Top 10 day and we’ve seen that you, our dear readers, are also quite partial to a Pokemon article or two. In this weeks’ Top 10, we’re dedicating the whole of this list to those Pokemon who have truly gone above and beyond. Some are exceptionally useful Pokemon in a battle, some are downright useless, but all of the Pokemon in this list share one common trait: They are all ugly! No Pokemon, no matter how useful, how powerful or how useless it is has been left out. We scoured for our personal Top 10 ugliest Pokemon and we’re ready for disagreements with everyone. Ugliness is a subjective term, so let us know what you think of this list at the end. I’m not going to lie: I don’t actually find Purugly all that ugly at all. However, the word ugly is in its name and so it’s up to us to look at this cat from a subjective standpoint and figure if we think it truly is ugly. Sadly, it does just about fit the mold of being an ugly Pokemon. It’s prevolution, Glameow, feels like it should have been an off-shoot of Purugly. It feels as if there should have been a prevolution of Purugly AND Glameow, with trainers being able to raise it into one or the other. However, the once glamorous mewster is unable to keep its good looks up. Whatever turns Glameow into a fat, grumpy, scrunched up faced, scraggly tailed and scruffy whiskered feline must have been a rough turn. It looks as if its owner just abused it and it’s angry at its owner for making it this way. 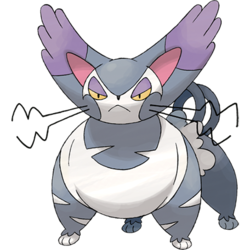 One thing is for certain however: Purugly is actually a useful Pokemon in the game (to a degree) which more than makes up for its poor appearance. At least it’s not all downhill for the once beautiful kitty! From a cuteness level, Stunfisk is weirdly cute in its own way. But you have to look past the fact that it’s basically a humanoid face on a flat bit of wobbly fish..? In fact, to make Stunfisk even weirder, it’s not even a real fish. Well it is, in that it flops about like one. The point is, this more or less could have been replaced with a pancake and giving it a face. On the plus side, although it’s a strange design, the actual looks of Stunfisk is even uglier when you get down to the details of it. Stunfisk, the Trap Pokémon. Stunfisk hides itself in the mud and then delivers an electric jolt when its prey touches it, smiling all the while. This sadistic Trap Pokemon not only will electrocute you if you touch it, but it will have a good smile at your pain and suffering. What an evil, ugly little brute this thing is. 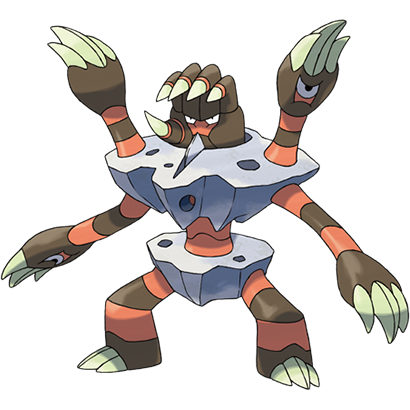 Controversially, we spoke to a few people to get our opinions on this and the ending vote left us with Metagross. 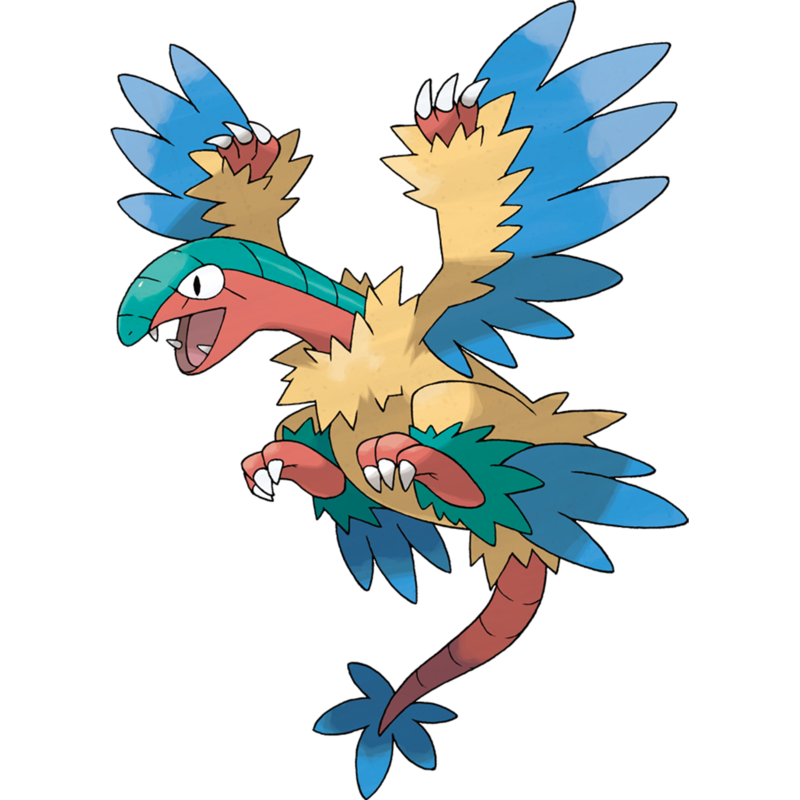 Now, don’t get me wrong, from an outsiders point of view, if you look at this Pokemon as an all around creature, then actually it’s less ugly and more of a complete boss for lack of a better phrase. It genuinely looks like something that would rough you up if you spoke about its weight problems. Don’t even think of calling this a Rock-Head, it’ll just pummel the living daylights. For those of you with a soft spot for pugs, or similar dogs that are inexplicably loved despite appearing to have run into a wall at birth, and again at every opportunity, Snubbull making this list might be a little upsetting. I don’t like pugs. I don’t like Snubbull, it doesn’t matter how many ruffles you put on something that looks like Donald Trump with carbon monoxide poisoning, it’s not cute. Snubbull terrifies other Pokémon, with its scowling face and teeth, but according to the Pokédex entries it’s found adorable by humans. Presumably these people avoid making the rational decision and letting it evolve into the tough-as-nails Granbull, and leave it pink, “froofy”, and a little depressing. Stuck between the terrified stuffed-bunny Whismur and the shout-cannon Exploud is the weird half-way point, Loudred. This walking tantrum powers up its sonic powers by stamping its feet, and it’s understandable to be that angry all the time! I can imagine that constantly catching flies no matter where you go would be incredibly annoying. Look at him, can you imagine that Loudred can close its mouth? Ever? Those stubby tusks that look like sixteenth century dentistry probably don’t help matters. Add on top of that the loud-speaker ears (that’s the opposite of how ears work guys) and the upturned nose, Loudred is not winning any kind of competition, not beauty, not singing, and certainly not decorum in public. Possibly demolition, they can topple buildings by yelling at them. That ought to make them more loveable. I guess things that have been brought back from a fossil aren’t exactly going to be pretty and Archeops really brings that home. It’s fine if you’re going to have a fossilised bird Pokemon, that’s cool. But what’s really weird is the colour scheme, let alone that crazy face it’s got going on. This is what happens when you let a child play a game of “fill in the colours”. You give them a nice hue of blues, a selection of lovely and warming reds to go with it and the child ends up making some of the weirdest choices in the world. 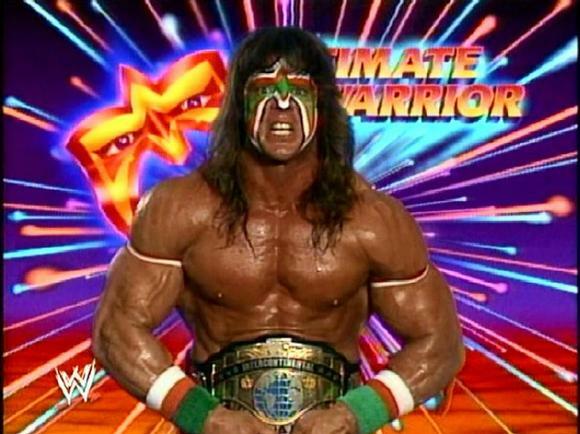 They’ll put yellows and blues and reds in all sorts of places and you end up with The Ultimate Warrior. Poor Weezing. Koffing was so cheerful, as full of life as he is of gas, and that smile was uplifting, despite the smell that preceded it. The moment the happy little poison puff evolves it all goes downhill, the vestigial twin emerges, bringing a roaming tumour with it, and the disposition changes with it. Weezing looks eternally sad, downturned eyes, and permanent heartbroken scowl. Let us also not forget that Weezing and Koffing both bear a skull-and-crossbones decal, thus automatically making them “the baddie“, and presumably that thought has finally dawned on Weezing through evolution. As its resemblance to John Carpenters The Thing becomes complete, it becomes terribly aware of how it will be remembered, as a floating gas bag of pollutants, wearing a symbol of death upon its chin. 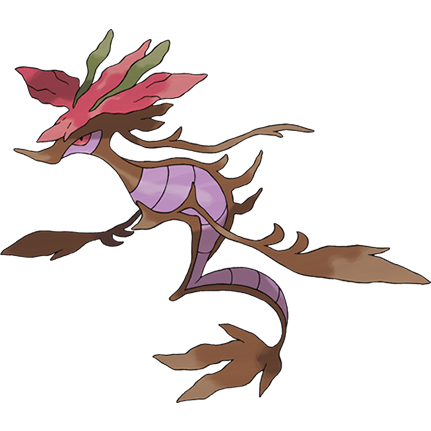 Conceptually this might be one of the most beautiful Pokemon on the list, as it’s basically alge. It’s such a cool design, but let’s not forget that we’re looking at these creatures from an aesthetic. Dragalge therefore does actually fall under the term ugly, but I actually really enjoy the way it looks. It’s basically sentient dragon-like alge. You can’t get much more ugly than some alge, so here Dragalge is. It’s hard to pull off a beautiful poison type for many reasons, but this might be the ugliest poison type out there. Which is fine to me, as I love the poison type for all of its ugliness. Shame it’s such a vastly unloved type. There’s no two ways about it, when your whole body is a rock with another rock that has spikey hands, you’re not going to win any beauty contests from the get go. Couple this with creepy faces and suddenly you go from just being a little bit ugly to full blown WHAT IS THAT?! 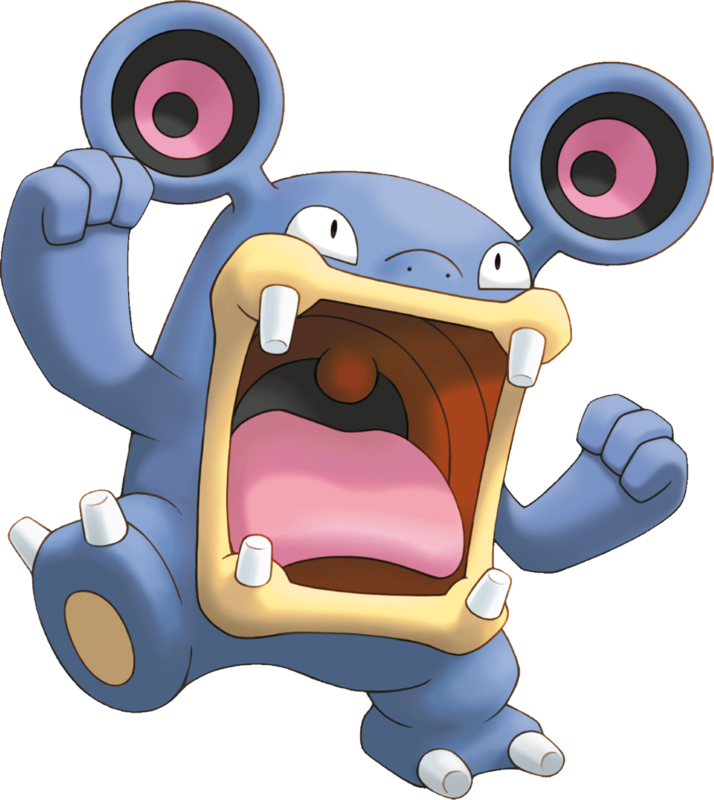 This has to be one of the most ugly designs not only for a Pokemon, but in all of design… However, in terms of its usability it is pretty amazing. It’s not exactly going to be game alteringly amazing, but it’s good enough to stand against most enemies it encounters and can be an effective sweeper. Mind you, none of this matters when you’re standing against it. You want your end to be swift, because that thing is just ugly. How to start this… Let’s go in evolution order. Magby! No baby was ever born with such a massive and bulbous head and an ant-eater face. What exactly do you eat with that? I mean I know you breath fire, but something has got to go in through that tiny face. This is a Pokémon that is born cross eyed and top heavy, I can only hope that its impressive heat is keeping it afloat, otherwise it’ll break its collared neck. Magmar, the one that started it all when I was but a lad. That forehead remains as blobby as ever, but add onto that frilly sleeves and – out of nowhere – a duck bill! Yet more leather bindings around the neck and legs, and the weird swelling issues in the body and limbs, this is a seriously ill species. I’ve seen attempts at making Magmar realistic, they have either failed, or taken it so far off the original design it really wasn’t worth the effort. Finally, Magmortar, the heavily armed burning egg monster. More swelling problems, more frilliness, and cannon arms! Broken cannon arms at that. The beak is replaced with a goofy, almost suggestive grin. But who wore bulbous, massive forehead and stupid mouth better? We had a tough time deciding, so now you can choose which of these messed up magma monsters truly deserves the number one slot! Cheap shot, nothing wrong with this little jelly so why mention him at all? Ditto has the power to be any Pokémon he pleases, even a person if it so chooses, so it can run the total range from most hideous to most adorable and everything in between. In its natural gooey form Ditto might be considered pretty cute, with the possible exceptions of the tiny eyes and flat mouth. In certain iterations Ditto can’t change its face to match that of its counterpart, leaving a blank canvas with the same two dots and line. Granted for some of our list members that’d be an improvement, but for anything else that’s a little creepy. Now here’s one with a bit of controversy around it. Jynx has long been purple skinned on the face and hands, but original designs had her skin completely black. 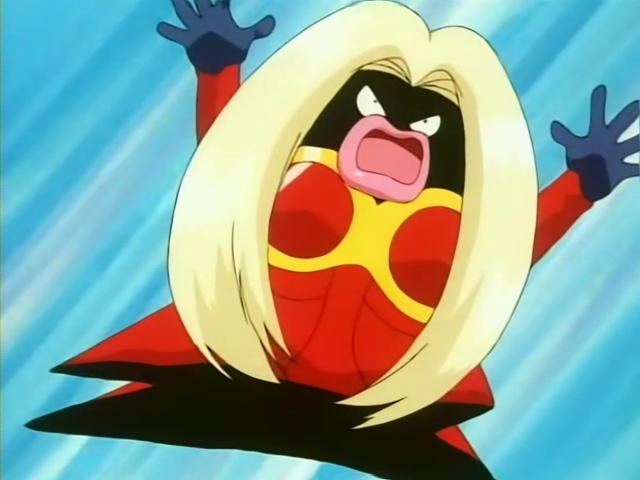 Added to the engorged lips and wide eyes, there were accusations that Jynx made a mockery of early twentieth century afro-caribbean stereotypes. In her defence, she more closely resembles the giant operatic Valkyrie Brunnhilde, and entries in the Pokédex give credence to the musical nature of Jynx. They seem to have a more seductive nature given their move-set, but it doesn’t matter that it’s called the “Human Shape” Pokémon, it still looks weird. Now you can look back at your monitors, as there will be no more cracking glass at the mere mention of the ugliness of these Pokemon. As said at the start of this article, we know that this is a subjective topic and we’re going to bounce this question right back at you. 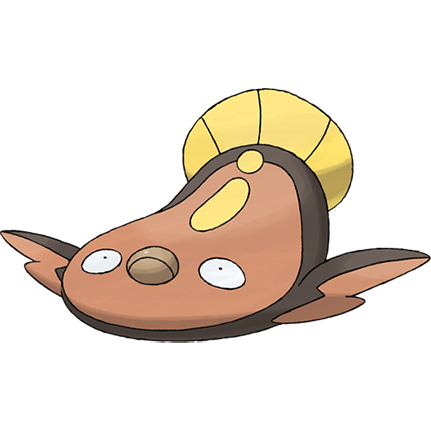 Do our 10 ugliest Pokemon reflect any of the ugliest Pokemon you can think of? Do you agree that the Mags are the ugliest of all fire types? Yes, we even think Heatran looks better than the Mag-family. Don’t forget to leave your comment below, or over on Facebook and Twitter. Whilst you’re at it, see the polls above? Vote on them both – You decide who is truly the ugliest out of the Mag-family and of course, we need your vote to decide what we’re going to cover for next weeks’ list. As always, get involved and if you’d ever like to be a guest panellist during one of our Top 10s, why not get in contact with us? The more hands on deck the better. Big thanks to Kevin from The Mental Attic for his contribution to Metagross. This was down between Metagross himself and Gloom. Kev and Timlah agreed that Metagross was much more ugly over Joels vote for Gloom. This entry was posted on November 14, 2015 by GeekOut Team. It was filed under Gaming posts, GeekOut discussion, Top 10 and was tagged with Archeops, Barbaracle, Ditto, Dragalge, Jynx, Loudred, Magby, Magmar, Magmortar, Metagross, Purugly, Snubbull, Stunfisk, Top 10, Top 10 Pokemon, Top 10 Ugly Pokemon, Ugly, Ugly Pokemon, Weezing. Haha – In fairness, ugliness is a subjective thing. See, Muk was considered by me, but at least it has a nice face :P I’d still go with Dragalge as the ugliest poison type, although it is one of my personal favourite design choices of that generation of Pokemon. The Ultimate Warrior reference made me laugh. Archeops is truly just The Ultimate Warrior, who probably has pretended to be a bird (or even predicted the arrival of Archeops tbh). RIP Warrior, you were great! 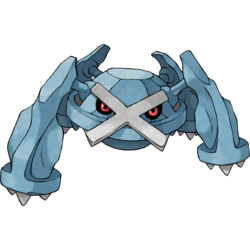 I actually think Metagross is pretty cute, though I’m sure it would pummel the living daylights out of me for saying so. 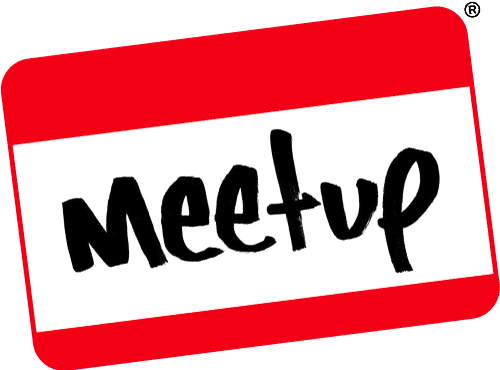 Hmm you know, with that intro i thought the post of the meetup would include a good quality picture of you in that onesie!